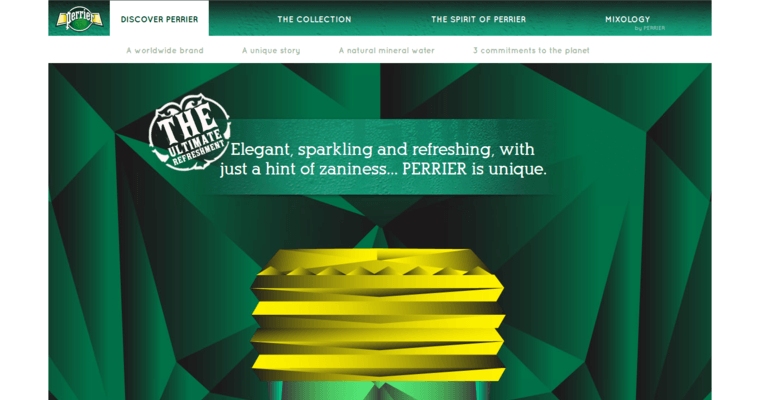 Perrier is a water brand that will never go out of style among those who love bottled water. With more than 100 years of business under the brand’s belt, this water company is still on top with a product that doesn’t go stale or lose its flavor! Perrier offers sparkling water infused with lemon, lime and grapefruit. The company offers new items often, such as detox blends that are healthy and nutritious, known as Green B and Ginger T. The newest blend is a breakfast drink called C Vitamin that quenches the thirst while giving your body the water that it needs to survive. Perrier offers different bottle sizes and designs, from glass bottles to slim cans to plastic bottles. From plain water that rehydrates to sparkling waters that delight, Perrier is a brand that is not going away anytime soon, especially from a business that has been around since 1863.